This Easter it’s easy to keep the children entertained with some of the novelty and crafty gift ideas for boys and girls at TAOS Gifts. These brilliant Grow Your Own Chicks are plastic eggs in various colours with a novelty hatching chick inside. Simply add water to the plastic container and the egg inside will slowly crack open to reveal a tiny chick. The cartoon figure gradually swells to many times its original size until it almost fills the container. A quirky and fascinating novelty, supplied with a clip so it can be attached to a bag or belt loop. Every child (and most adults too) enjoy blowing bubbles. A great gift idea for those looking for alternatives to traditional eggs, these Easter Egg Blowing Bubbles are in various coloured, egg shaped containers decorated with cute little Easter Chicks and Rabbits. Each Easter Egg Bubble container holds a bubble solution and a wand inside the lid, they come supplied with a cord on the lid so they can be worn as a necklace to ensure the bubbles are always close at hand. After a busy day having fun give your little ones an eggstra special treat with one of our Tinti Magic Egg Bath Bombs. In each side of the egg there is a collectible surprise toy. Create a new and unique bathtime experience. Simply add the magic egg to the water and watch as it buzzes around in the water turning it into funny colours. After the magic fun the bath tub simply needs to be rinsed out with clean water. Once the ball has dissolved the magic egg has two surprises in store for your child! What bathtime would be complete without Magic Bath Ducks? Our best-selling bathtime companions are now back in stock! 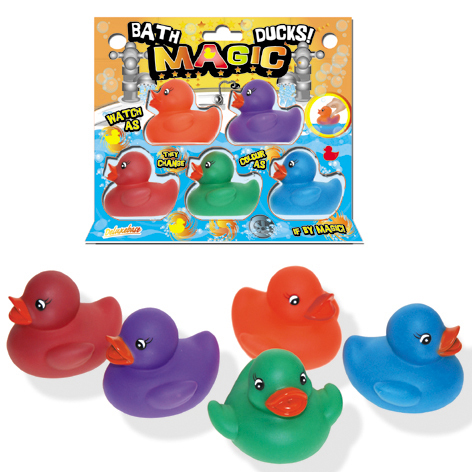 Each pack of Magic Bath Ducks contains five differently coloured plastic ducks, which will change colour when placed in warm water, and will revert to their original colours as the water cools. Each duck is approximately 6cm in size. The ducks are available from TAOS Gifts for just £3.95 for each pack of 5 Magic Bath Ducks. 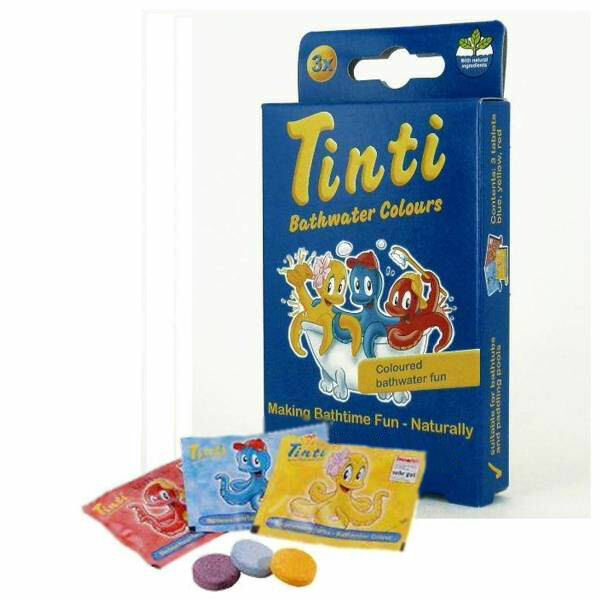 You’ll go quackers for them, and they have many complimentary bathtime products – why not add some Tinti Bath Colours to add a different shade to the bath water as well? 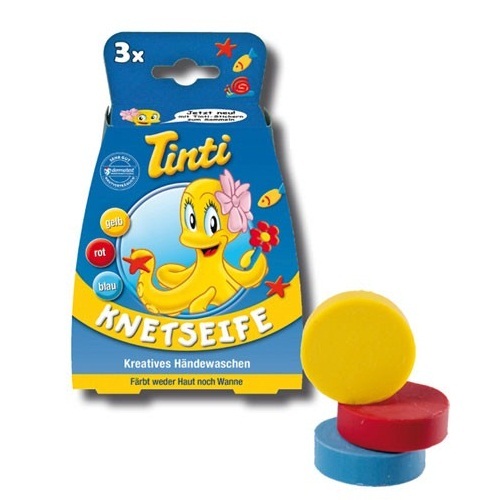 Tinti is a German made bath product that is especially designed for children aged 3 plus, made from natural plants, blossoms and leaves, soap free and dermatologically tested.